Many of the NAS manufacturers have ditched the ARM platform and have migrated to more mainstream processing engines. asustor has followed suit and has been producing NAS with various Intel CPUs for as long as I can remember. This latest generation of NAS by asustor,the AS3102T has the Celeron Braswell processor at the core of its central processing. Many of us wouldn’t typically consider a Celeron as the CPU for our desktop or mobile CPU, NAS has much fewer requirements and has the benefit of a structured and limited operating system that can use these processors very efficiently. To get basics out of the way, the AS3102T has a Celeron 1.6GHz Dual-Core CPU at its heart, 2GB of DDR3L memory, 3 x USB 3.0 ports, 1 x GbE port, 1 HDMI 1.4b port, a 70mm cooling fan, an Infrared Reciever, and 2 x HDD bays. Both bays are internal and can support 8TB drives, making the total capacity 16GB (unformatted) in RAID 0.
asustor claims that their system is capable of delivering speeds of up to 110MB/s read and 112MB/s write with a RAID 1 configuration. Their test configuration will be detailed with the product benchmarks and our test bed configuration. 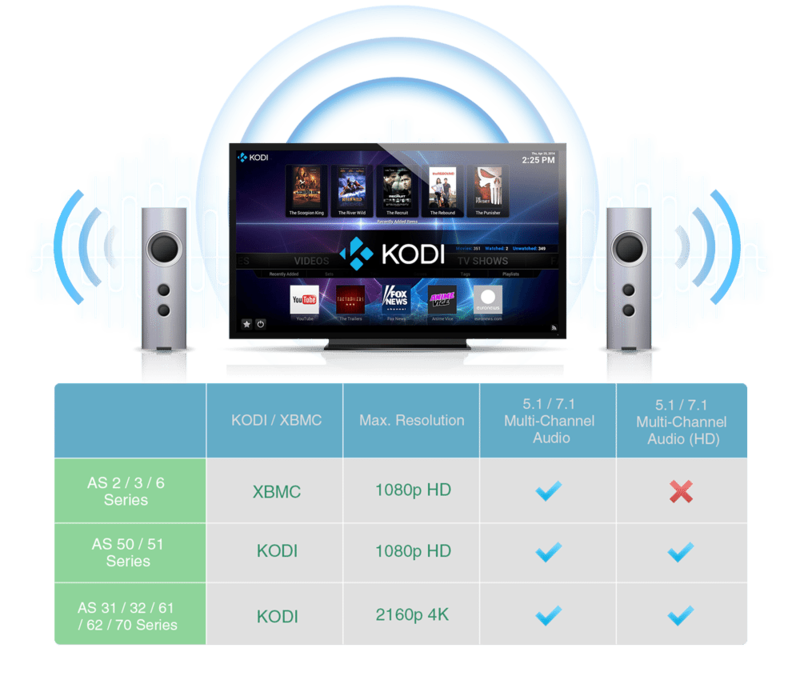 The NAS supports FULL HD (2160p) output and can run KODI. The AS3102T also supports 5.1 and 7.1 multi-channel audio immersing the viewer in a field of sound that puts them right into the action. Team this NAS up with an IR remote and you have a home theater system in a box.